DAVIS, Calif. (KGO) -- A Davis police officer was shot and killed after responding to a traffic collision in downtown Davis. Police surrounded a home on 5th street not far from D street Friday night. They believe the suspect is inside. At last report, police were still at that location. A Davis police officer is in serious condition after being shot while responding to a traffic collision. Officials are asking residents to avoid downtown Davis until further notice. The suspect is described as a Caucasian man wearing tactical boots. He has not been apprehended. A manhunt is underway involving police from throughout Yolo, Solano and Sacramento Counties. They spent hours going door to door searching for the suspect. The incident happened a few blocks away from the UC Davis campus, near the city's central park on Fifth Street. The University sent out an alert to students to stay clear of the downtown area and to shelter in place. Parts of the campus are locked down. 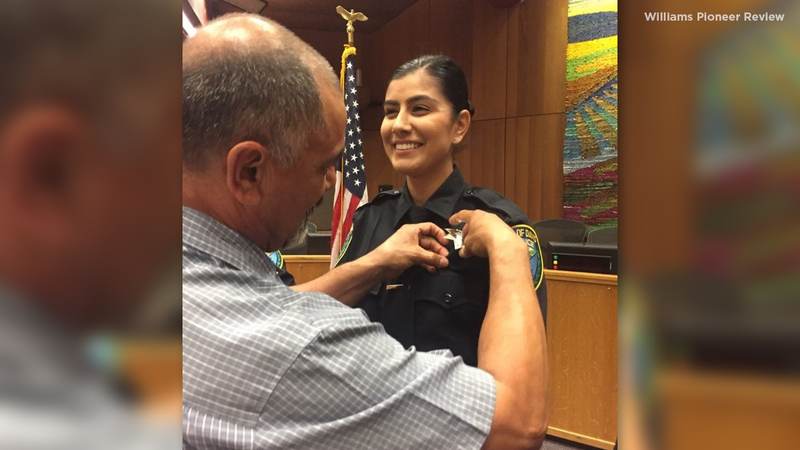 Take a look at the latest stories and videos about fallen Officer Natalie Corona.